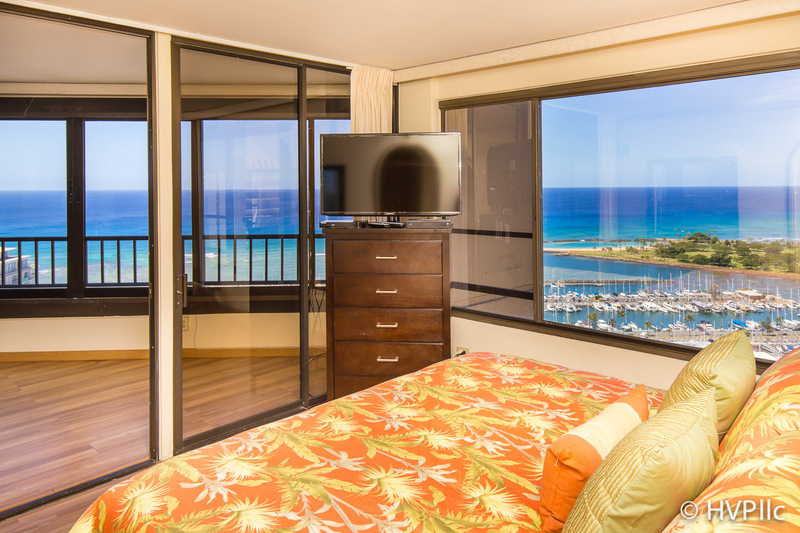 Discovery Bay Center is located at the gateway to Waikiki Beach, adjacent to the Ala Wai Yacht Harbor, near The Ilikai Hotel, Waikiki Edition Hotel and The Hilton Hawaiian Village. There are two 40 story towers. Many of the condos have spectacular ocean views. Building amenities include Pool, Jacuzzi, Gym, and a designated area for bar-b-q. The studios, one and two bedroom apartments have a washer and dryer, central air conditioning, cable, phone & Internet service and designated parking. 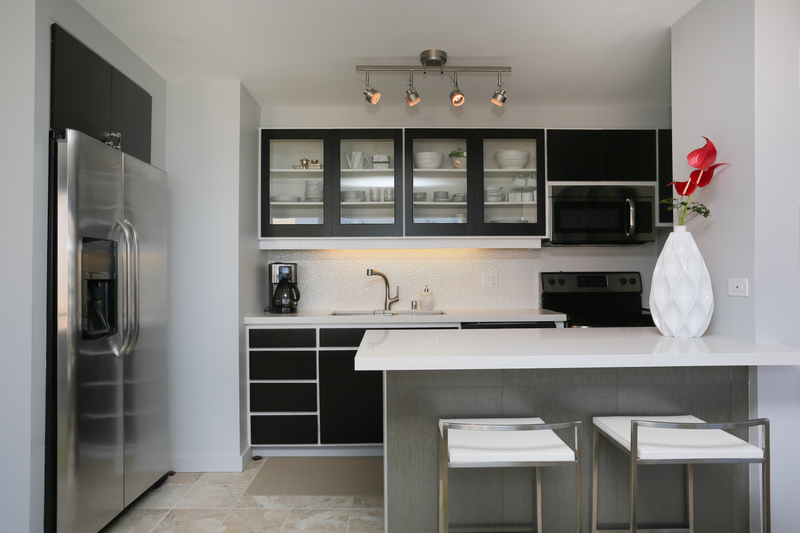 Our apartments are all well appointed, furnished and ready for move in. Good value for the snowbirds looking for a warm place in the winter or for the business executives who need to be close to downtown or for the many contractors that relocate to Honolulu for work. This building has a minimum one month stay so it is a perfect place to hang your hang hat or your surf board for a month or for years to come! Security Features a Locked Lobby, 24 Hour Private Guards and Video Monitoring. Restaurants within the Discovery Bay Center include McDonald’s, Kimo Bean Coffee, Subway, Shanghai Bistro, Aloha Sushi, Bombay Indian Restaurant & Snappers Sport Bar and Grill. Also, three Car Rental Offices are on site. 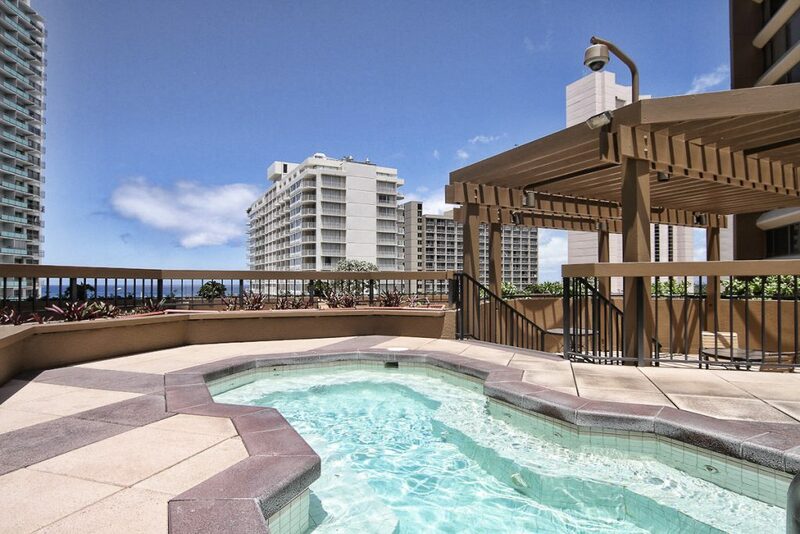 This is a convenient location for enjoying Oahu. 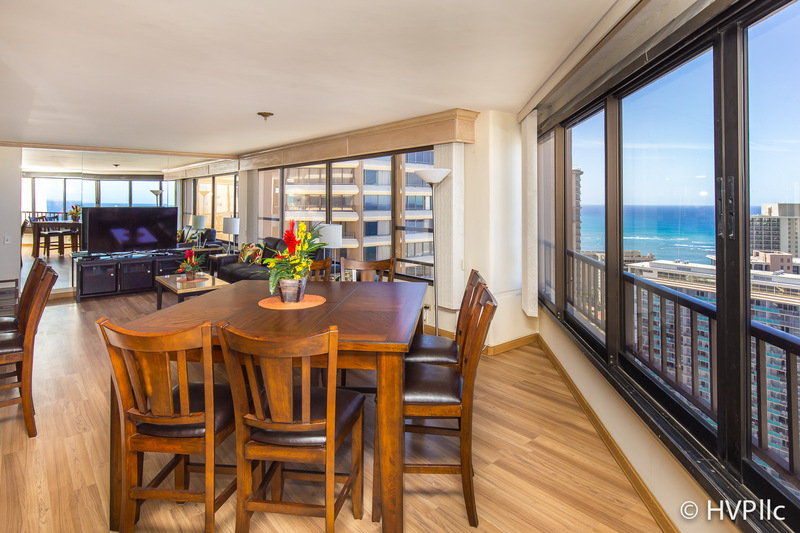 Restaurants, Surfing, the Honolulu Zoo the Aquarium, exciting Waikiki Nightlife, the Hawaii Convention Center, Diamond Head State Monument, Farmer’s Markets, Downtown, Chinatown, are minutes from the door. The USS Arizona Memorial, Polynesian Cultural Center, the North Shore and other top Oahu destinations are easily accessed. 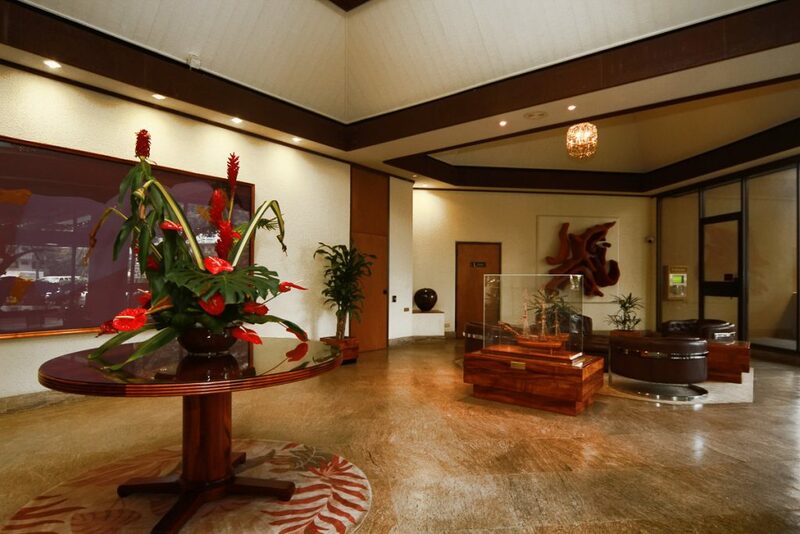 Discovery Bay is so conveniently located that you don’t need a car to live or vacation here. Bus stops, Banks, Post Offices, are all within walking distance. 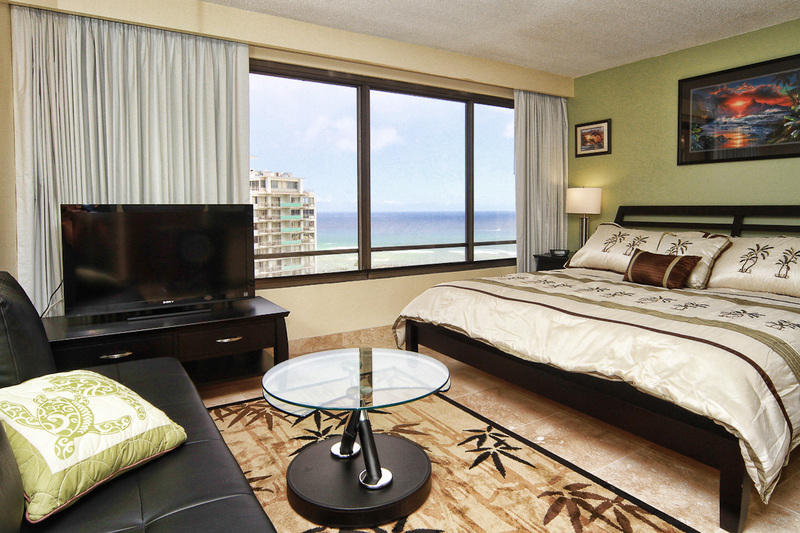 Waikiki Beach and Ala Moana Beach Park are a few minutes walk across the street. Discovery Bay is a 10 minute walk to the Ala Moana Shopping which is a world class shopping mall with every restaurant and shop imaginable. Enjoy the spectacular Friday evening fireworks show from your lanai and the memorable sunsets. Take pleasure in the nightly torch lighting ceremonies and Friday night Hawaiian Music and Hula shows at the Ilikai. 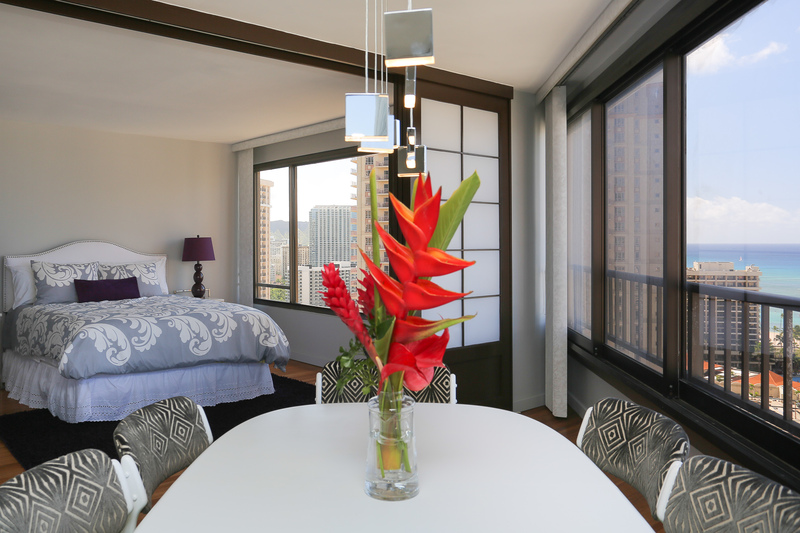 Whatever the reason you are here in Honolulu, you will have the pleasure of living in one of the most fantastic locations. Just soak in all the wonderful things that make living in at the Discovery Bay extraordinary.